Last year, the city only had 29 days of good air quality during the months of October and November. As per the analysis performed by the System of Air Quality Forecasting and Research (SAFAR) scientists, the air quality in Pune during the Diwali festival, has displayed declined over the last five years. According to the analysis, the air quality in the months of October and November in 2013 had 54 days of good and satisfactory air quality. Last year the number was down to only 29 days. The level of particulate matter (PM) in the atmosphere is calculated along with other parameters to measure the air quality. Particulate matter in the atmosphere of the size PM2.5, also called "fine particulates," consists of particles with diameters that are less than or equal to 2.5 microns in size. PM2.5 is a more serious health concern than PM10, since smaller particles can travel more deeply into our lungs and enter our bloodstream and cause more harmful effects. To calculate the level of pollution, SAFAR uses a unit-less number with a certain range, and accordingly displays Air Quality Index as good, moderate, poor etc. Project Director Dr Gufran Beig said that the analysis made by the SAFAR shows that the PM2.5 is causing the most damage. The PM2.5 levels were under permissible levels only for 29 days in October and November of 2017. 2016 had 28 days of good air quality in these months while 2015 had 52 days when the pollution was low. SAFAR uses a high-resolution atmospheric chemistry transport prediction model and gathers feedback from 10 air quality monitoring stations in and around the city. A unit-less number between 51 and 100 and color green on AQI indicates good air quality and risk of pollution, a unit-less number between 101 and 200 and colour yellow on AQI indicates moderate air quality and a unit-less number between 201 and 300 and colour red indicates poor air quality. Most people can tolerate the moderate air quality but people with high sensitivity to changes in air quality are susceptible to even moderate air quality. 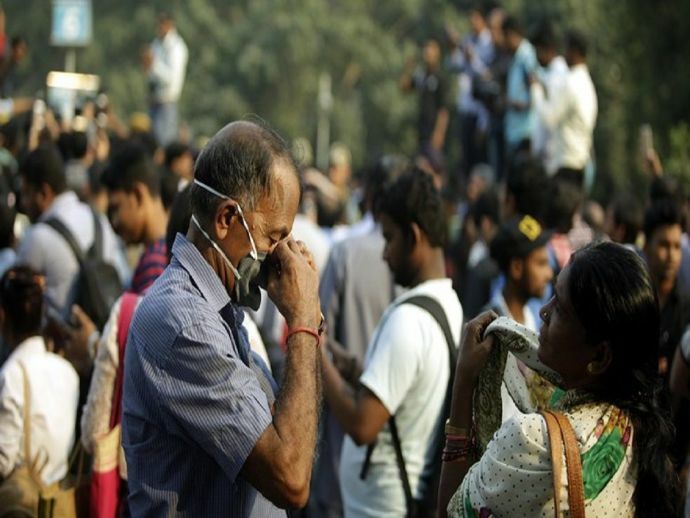 The scientists have warned people with heart or lung disorders, children and elderly to take precautionary measures and avoid prolonged and heavy exertion. Sustainable measures to maintain air quality on a long term basis are needed, said Beig. SAFAR is now assessing air quality during the Diwali days. Beig said that the pollution levels this year are expected to be lower this year as the temperature has not dropped.